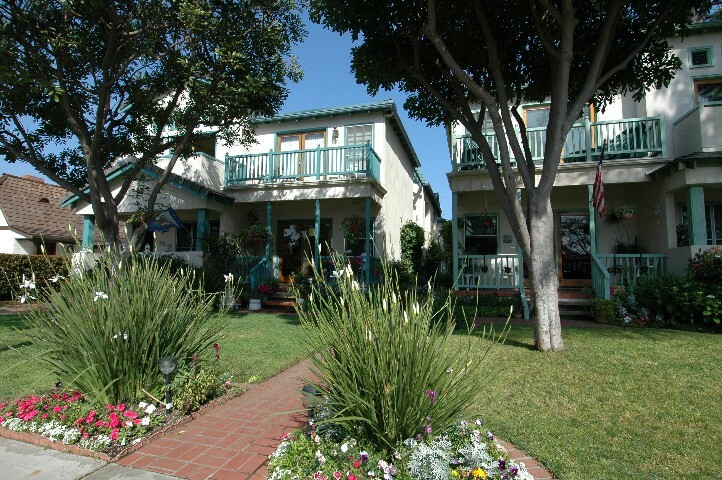 Coronado Condominium... and it's a charmer! Don't dally!... this Coronado Charmer at 761 F Avenue... will sell in a heartbeat! SOLD! Everybody says it is a slow market... well that's when marketing really pays off! 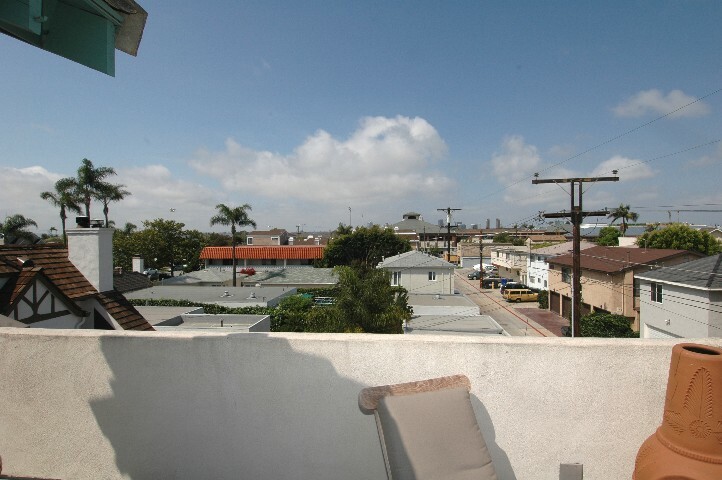 Day one in both MLS's full pictures... full virtual tour... e-mailed web page to Coronado agents... and within 10 days three multiple offers were duking it out. One stuck with us through the escrow as a back up offer. 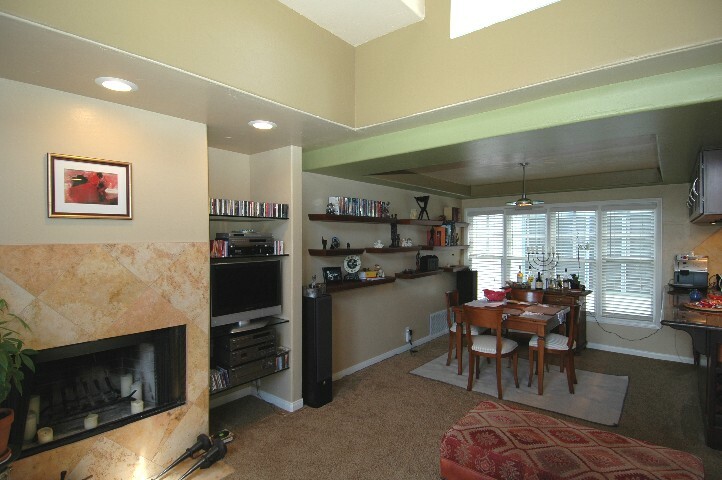 Quiet Street... rear unit... secure inside access to the garage off of the alley... this is as good as Coronado gets! 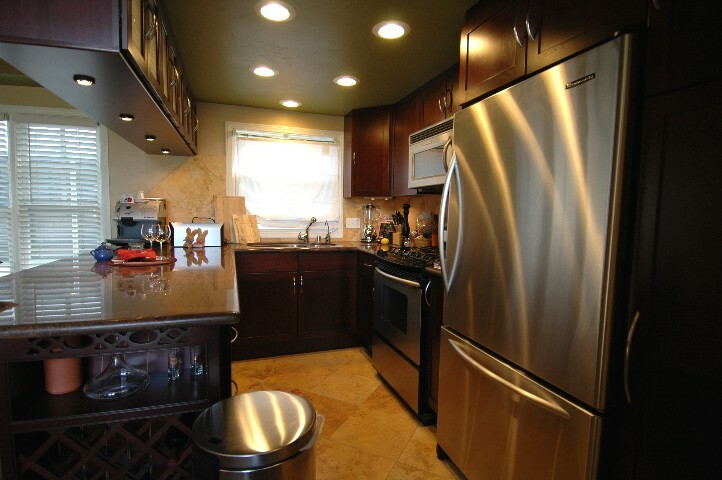 Totally remodeled... beautifully maintained... it is bright... cheerful... and creates a wonderful lifestyle. Sitting on the patio... the neighbors from the front lower unit are enjoying happy hour... or two. Click here for a virtual tour of this Coronado Charmer... with additional photos... links and information! 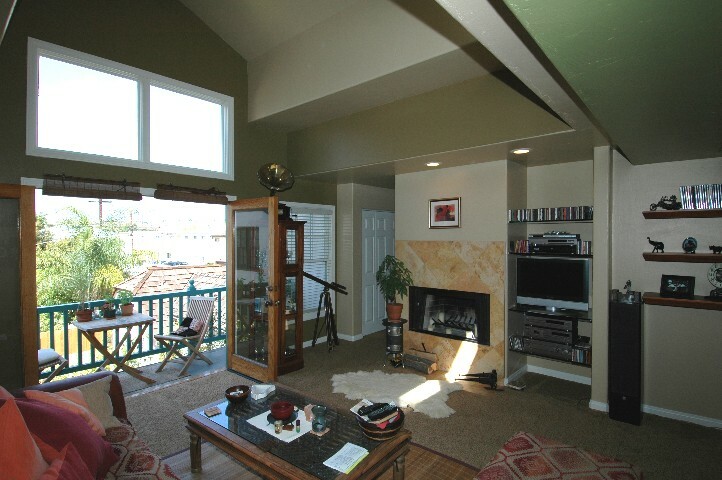 The great room floorplan is spacious... open... flowing... and bright. Wide double French door access to the balcony... with it's own city view... and this view of the patio... is taken from the elegant Kitchen shown above. Granite... Travertine Marble... Stainless Steel... Cherry wood... it is gorgeous! And... unbelievably... this is how the tenants maintain it. Should a buyer desire great tenants... they are already in place... with a lease through August 31, 2006. Marble faced fireplace... built in storage with sound wired to the rooftop deck... dramatic ceiling lines... and beautiful double hung windows. Charm... Elegance... and yet casual. This says... a week at the beach! 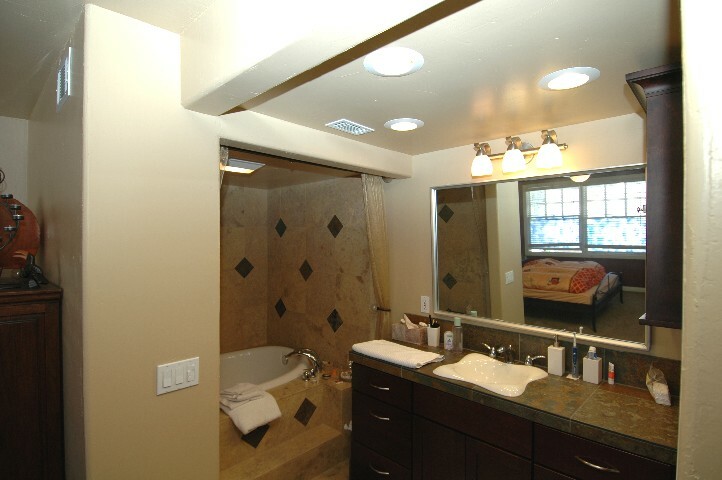 Notice the master suite bath above. Rich warm tile work... slate... Travertine... garden tub... it just goes on and on. And... it is all spotless! Up on the roof... who can say that without hearing the music? Well here's what it looks like! Huge roof top deck... private for sun bathing... or? 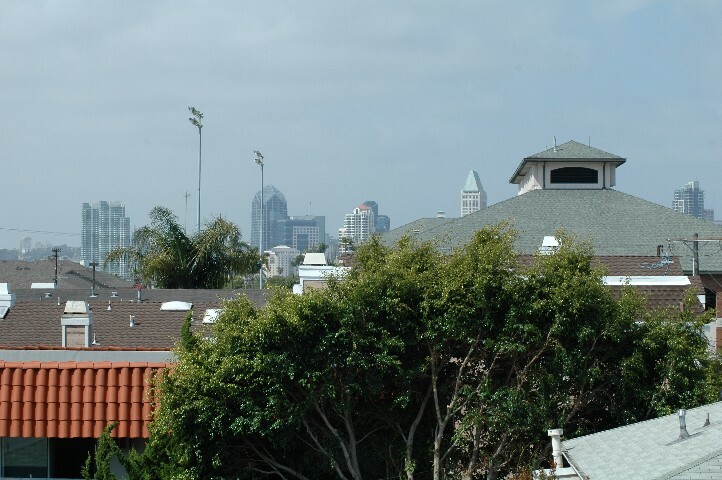 And... of course ... with the help of binoculars... and truly stunning view of the San Diego Skyline. You should see it at night. And... you should really see it on the 4th of July... with all the fireworks.